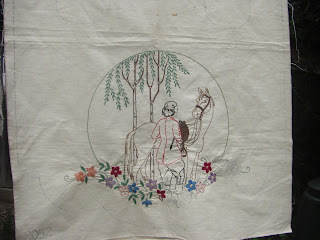 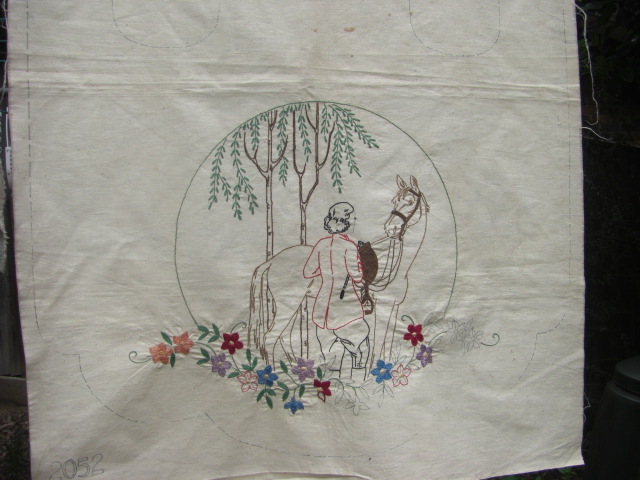 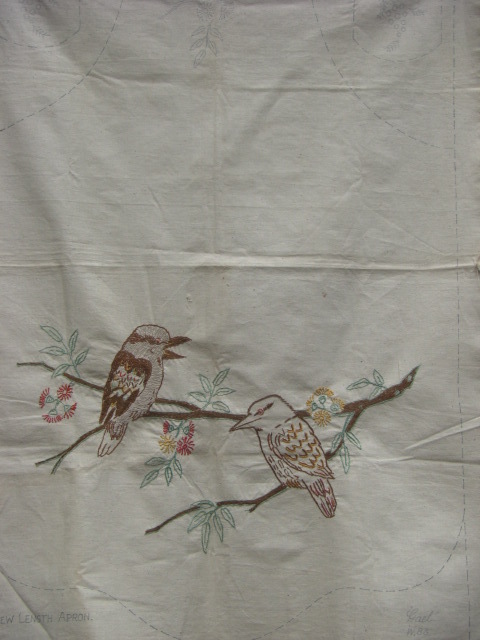 Early Australian Linens - a private collection. : Aprons. Can you see the spelling error? 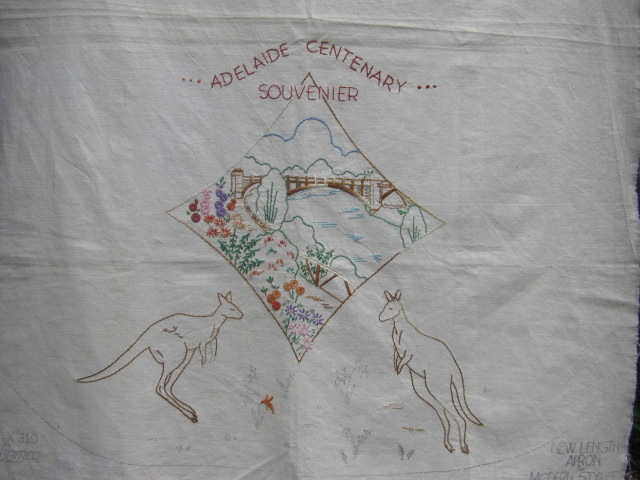 I am shocked that not only Semco spelt 'souvenir' incorrectly on the transfer pattern, but the person who stitched this didn't fix it up either! This apron just needs one pocket re-stitched. Otherwise, a nice souvenir of the opening of Sydney Harbour Bridge. 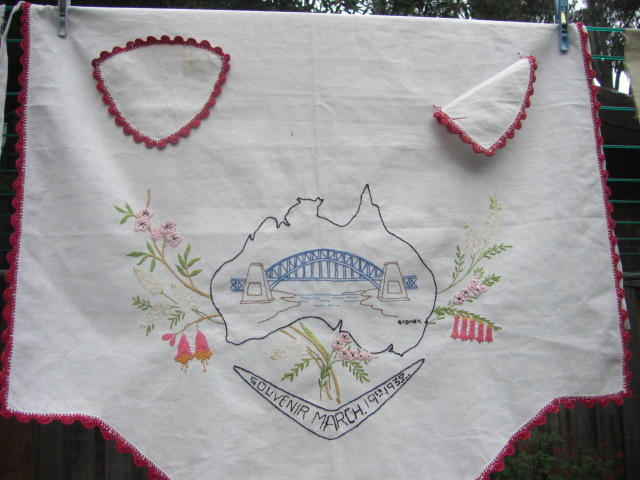 How old would this design be - 1940's possibly? 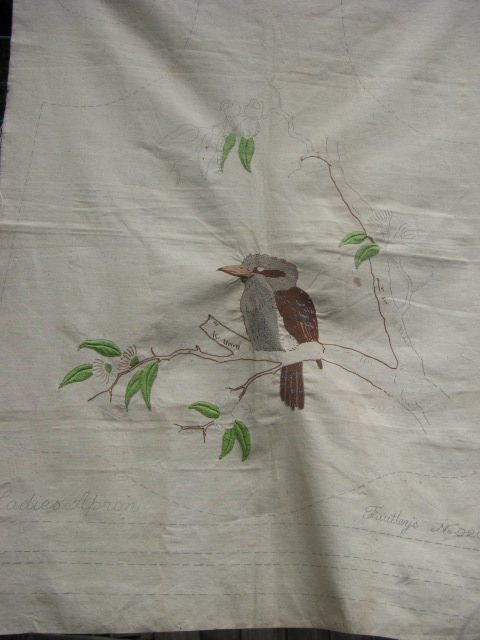 Two variations of kookaburra designs for aprons.